Someone Order Vines with Shoes? Hey guys! PikaPoster here, back with another Card of the Day post. Today I will be showcasing the Tangela and Tangrowth from XY11 Steam Siege. Tangela is covered with thick blue vines so only its eyes can be seen. These vines are covered in fine hair, and they give it a round shape. It is unknown what it looks like without them. The vines are always growing, and can be replaced if lost or damaged. It has a pair of red boot-like feet, but no visible arms. Tangela can ensnare and entangle anything that moves too close to it with its vines. Tangela’s vines will snap off easily and painlessly if the target pulls on them, suggesting that the ensnaring is intended to scare off potential predators. Tangela (1/114) is not the kind of card I would use. It has a high energy and retreat cost, but good HP. This card could potentially make a fair wall, because of nice HP and a healing attack. In the current format, I would use an Assault Vest to reduce damage from Special Energy users and attack with Mega Drain to heal. Tangrowth is a large Pokémon with a black body wrapped in blue vines. The vines are used to entangle foes and prey. A pair of round, white eyes peeks out from beneath the tangled mess of vines. Its stubby black feet are tipped with red. Tangrowth has a pair of blue boneless arms that have three fingers. 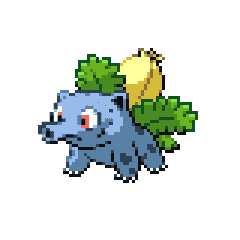 Tangrowth is unfazed if one of its arms is broken off, as it will easily grow back. If Tangela (1/114) was a wall, Tangrowth (2/114) most certainly is. With 130 HP and an attack that heals 40 damage, this card can stand up to almost anything. I would give it an Assault Vest, just like Tangela, so It could stand up to highly played decks like Night March and Vespiquen. Tangela is a average Basic from the Steam Siege expansion. I give it 2.5 stars for working as an early game wall. Tangrowth is a bulky Stage 1 from the Steam Siege expansion. I give it 3.5 stars for being an impressive wall that can do some damage, and stand up to high level decks.